Kudos from Scott Canty: "In this urban scene we go to the back alleys of a commercial or residential street. Only through the eyes of an artist can we truly appreciate the beauty found in the alley and other unsavory areas in our city. 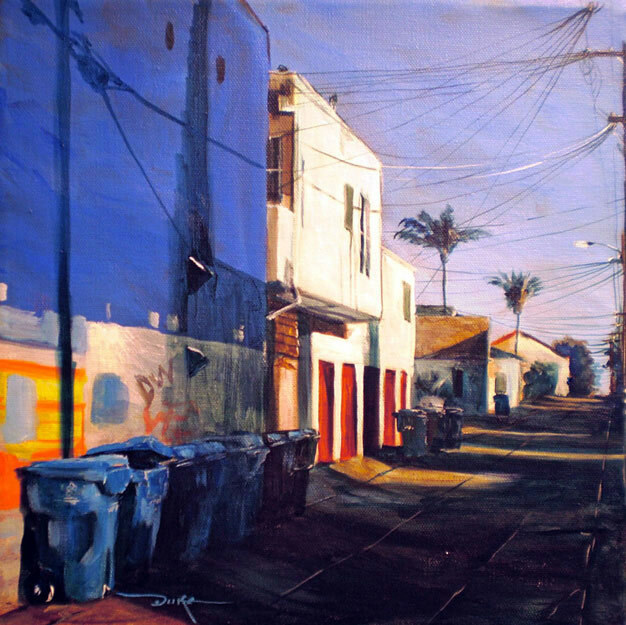 The artist has selected a wonderful choice of complementary colors and grittiness found in the shadows to pull the elements together and form a delightful composition."